Tyler Mack, First winner of the Kelsey Kittleson Memorial APYSL Scholarship. Congratulations Tyler!! The Averill Park Youth Soccer League is proud to announce Tyler Mack as the first winner of the Kelsey Kittleson Memorial Scholarship. This scholarship is awarded to a player who participates on an indoor Winter Soccer Travel Team. He demonstrates good sportsmanship on and off the field, and does community service for his church, school, and teams. Tyler feels that, "I possess many of the same qualities as Kelsey, and I plan on continuing to do these things in order be a good person and to honor her memory.  Spring Rec Registration Open Feb 25th -March 30th. Season runs April 22nd -June 7th!! Open to Pre-K through 6th grade!